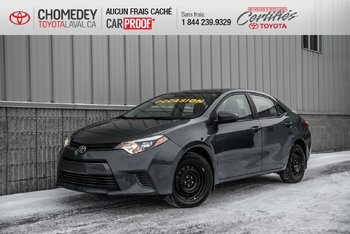 INSPECTION SECURITAIRE, FINANCEMENT DISPONIBLE SUR APPROBATION BANCAIRE, CHOMEDEY TOYOTA ÉTABLI A LAVAL DEPUIS 1978 AU 3665 BOULEVARD SAINT-MARTIN OUEST LAVAL QUÉBEC H7T1A7. 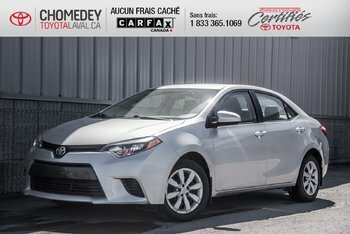 APPELEZ-NOUS POUR DE PLUS AMPLES INFORMATIONS SUR CE VÉHICULE AU 1-833-365-1069 AU PLAISIR DE VOUS SERVIR. 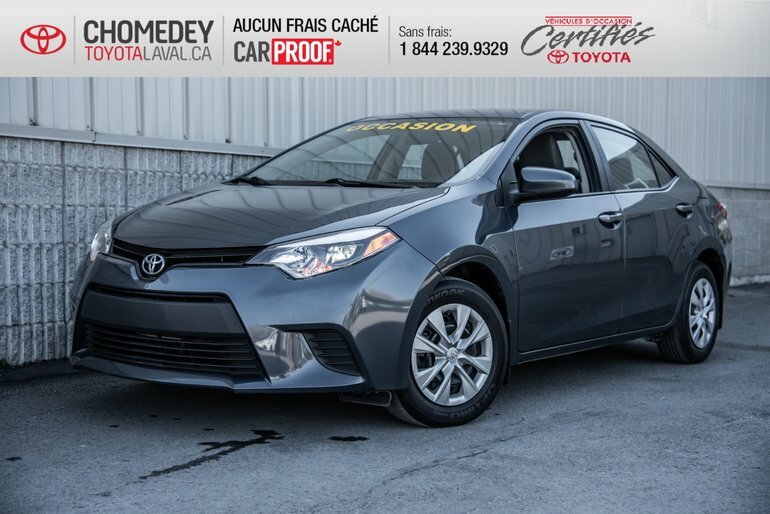 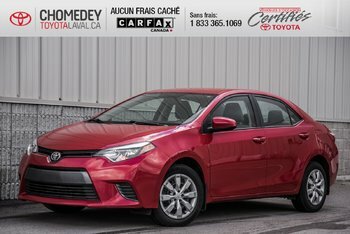 Ce véhicule Toyota Corolla CE AUTOMATIQUE 2015 INSPECTION SECURITAIRE INCLUS vous intéresse?